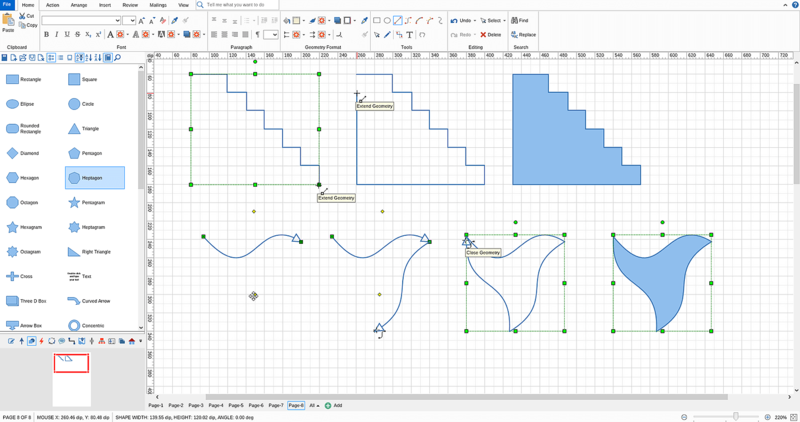 MyDraw comes with a large set of advanced shapes which will allow you to create almost any diagram you need. In some cases however, a custom shape needs to be created and this is what we'll explore in this topic. There are several ways to draw your own shapes in MyDraw and we'll go through each one step by step. MyDraw comes with a set or advanced drawing tools which can help you create any shape you can imagine. You can find them in the Tools section of the ribbon's home tab. Line Tool - a straight line drawing tool. If you hold the "Shift" button while dragging the line it will move horizontally, vertically, or in 45 degrees, depending on which way you move your mouse. Cubic Bezier Tool - a curved line drawing tool with two control points allowing you to modify the curves. Arc Tool - an arc drawing tool with a control point which allows you to modify the curviness of the arc. Elliptical Arc Tool - an arc drawing tool with a control point which allows you to modify the arc's angle and ratio. Nurbs Tool - a freehand drawing tool. Once you draw the shape you can further modify it. 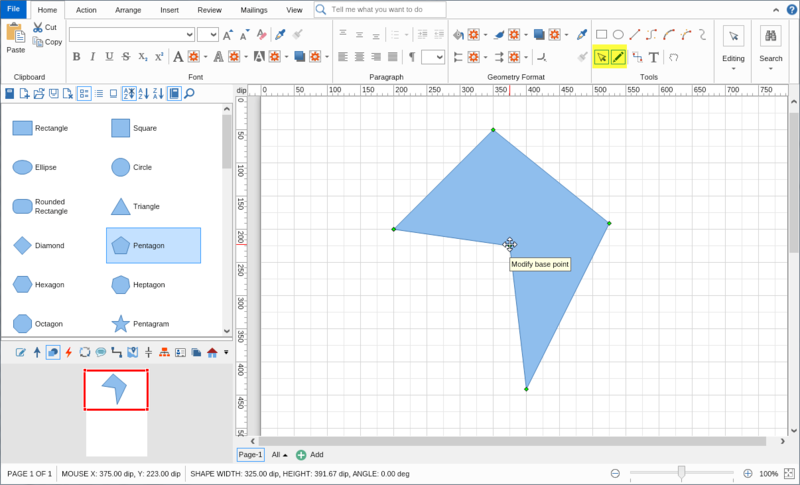 Simply select the Pointer and the Edit Geometry tool from the Tools section (as shown in the image below) and the control points of your shape will appear. 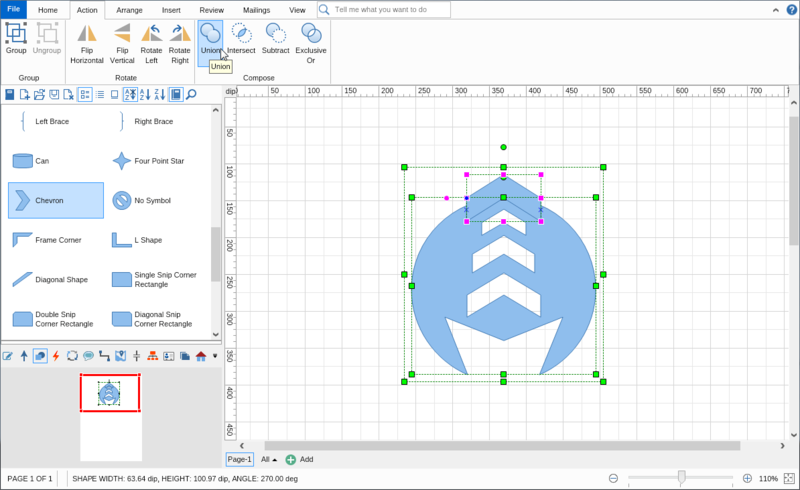 You can then drag the control points to modify the shape. 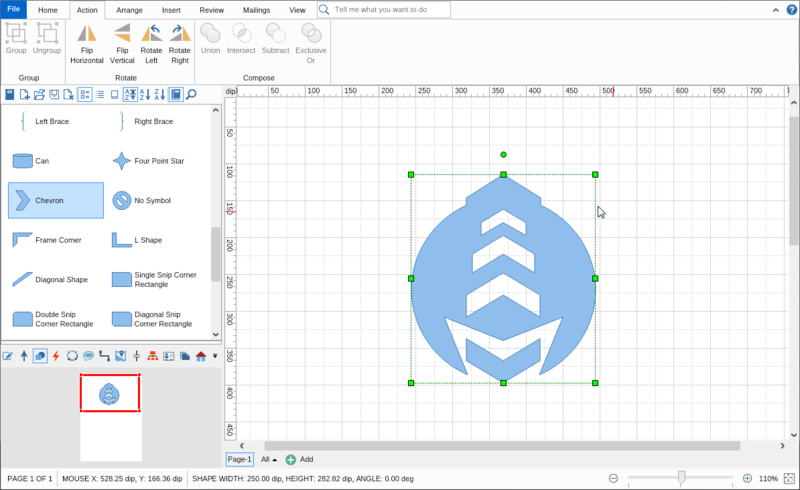 Using the shapes in the library browser and the Compose tools (found in the Action tab of the ribbon) allows you to quickly and easily create abstract shapes simply by combining two or more shapes together. Here's a preview of designing a more complex shape using only 3 basic shapes. 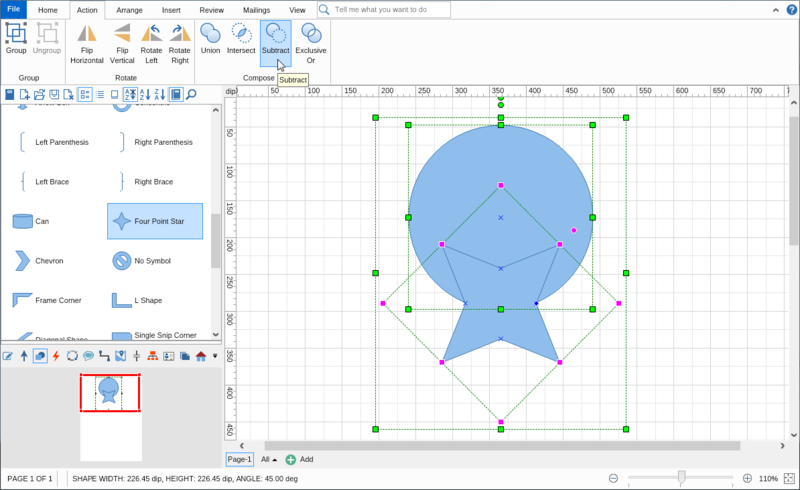 The created shape can be additionally modified using the Edit Geometry tool as shown on the example in the previous section of this topic. 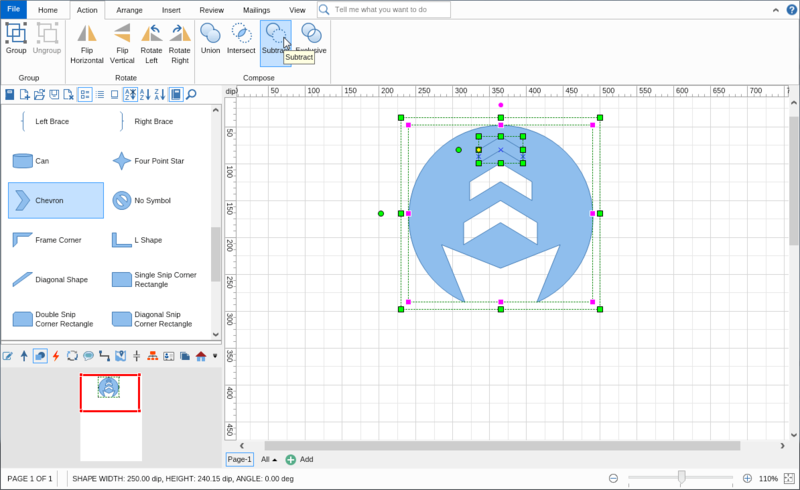 MyDraw is absolutely free for 1 month without any limitation in functionality. 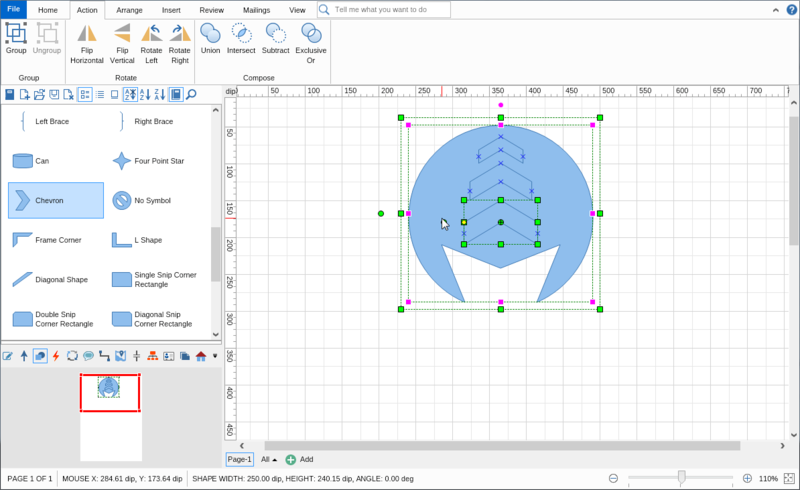 You can test every aspect of it and save your diagrams to PDF, high resolution images, or print them directly.